Jason is your local Bellarine Building Consultant. An expert in residential and commercial building inspections. 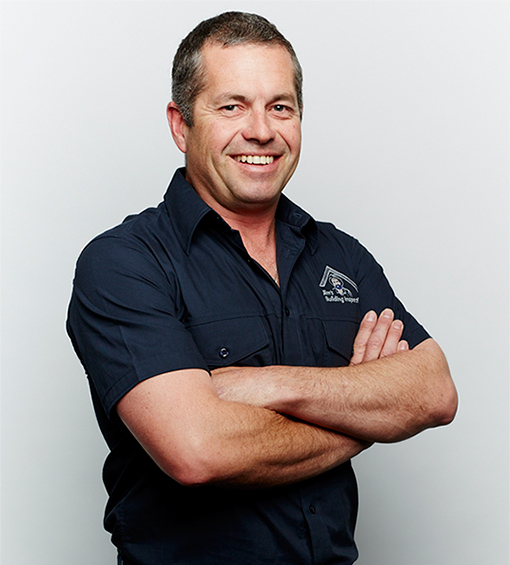 Jason is our Bellarine Peninsula Building Consultant, he has been involved in the local building industry for more than 25 years. He has experience in all aspects of the industry including new home construction, carpentry and joinery, as well as building product sales. Jason both owned and managed a successful joinery business for over 15 years supplying quality staircases to the public and builders across Geelong, the Bellarine Peninsula and the Surfcoast. He has personally built many hundreds of staircases ranging from the basic to complicated, architect designed geometric designs. More recently Jason has returned to studying, completing his Certificate IV in Building Construction, Asbestos Assessment Certificate and Timber Pest and Termite Accreditation. He also holds a Diploma of Building Surveying CPC 50108. Jason offers a wide range of home inspection services starting from basic Pre Purchase Inspections, which can be upgraded to include a Timber Pest & Termite and Asbestos Assessment, through to Premium Building Inspections, which include reports from a licensed plumber and electrician, which provides total peace of mind when purchasing a new home. If you are building a new home Jason can make independent stage inspections – usually slab and base, frame, lockup and handover stages. Experience has shown that when these inspections are done there is a noticeable improvement in quality of build, and in the relationship between client and builder. Having been a small business operator for many years Jason understands the importance of having satisfied customers, and he enjoys the positive feedback he is receiving from the many people he is helping. Jason has lived on the Bellarine all his life and together with his wife, Kelly, and two young children leads a very active life on the Peninsula and beyond. The family love travelling the country, camping, four wheel driving, fishing, surfing and family outings! Jason is fully insured with both Professional Indemnity and Public Liability Insurance. His reports are both professionally prepared and well documented and are guaranteed to provide peace of mind to his customers. ©2019 PINDAN PROJECTS PTY LTD. ALL RIGHTS RESERVED.